Do you think you jump high? Re: Do you think you jump high? fdvj wrote: one of mine but wouldn't loop at this height. That is a pretty big jump, definitely quite a bit over 10m. Were you hit by a gust after take off? Nah, fdvj's jump is no more than 25 feet. Funny thing about wide angle lenses and slowed down video footage, they make even good jumps looks truly mega. Jumps on the water just dont seam that big anymore. funny how people are so quick to call BS. to FV and anyone else that posted a pic. Thanks. I liked the vid, and you got some pretty serious height and hang time. Now and again I get a really good one, but seems I'm always just a hair off on the timing for the truly big ones. KiteCulture wrote: funny how people are so quick to call BS. to FV and anyone else that posted a pic. Thanks. I liked the vid, and you got some pretty serious height and hang time. Now and again I get a really good one, but seems I'm always just a hair off on the timing for the truly big ones. ditto....It is fun to see pics from elsewhere and impressive jumps. 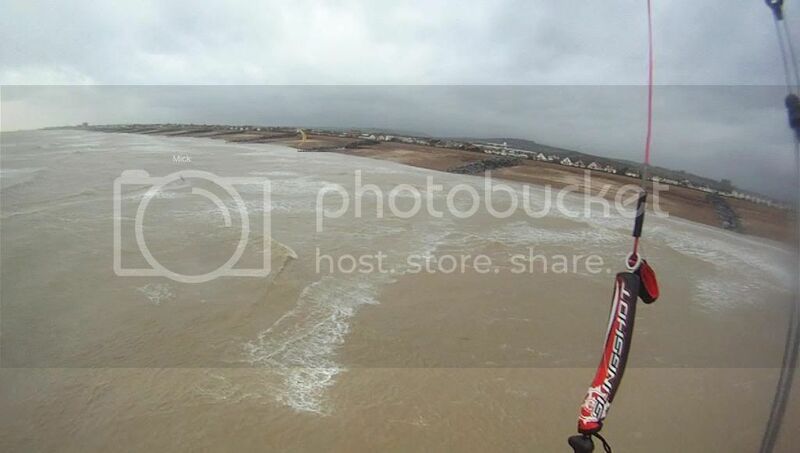 Last week in on a 7m 2014 Airush Varial-X in about 35 knots. Wind bang on-shore so I coming towards camera and I reckon on the decent at this point (no take off trail).